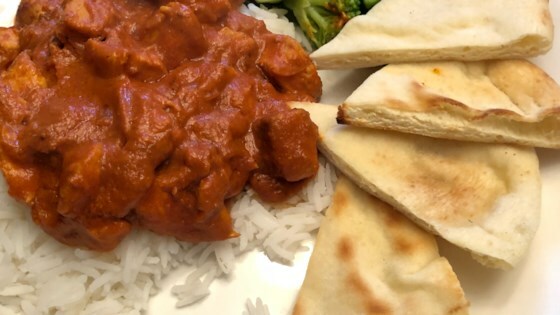 "A classic curry-stand recipe. This is not haute cuisine; this is the kind of nuclear-orange tikka masala that you crave when you stumble out of a pub at 2 a.m. I make vast quantities of the sauce at one time, and it freezes very well. I also added much more cayenne pepper than 1 teaspoon, but I give out the recipe like this for people who don't like heat." YEP! Try this recipe! Turns out scarily close to what I get at my local Indian restaurant and the hubby and I enjoyed the leftovers the next night as well!